Whether you are a Hotel Owner/ Developer or an experienced Hotel Operator, we will assist with your project to achieve excellent results. If you are looking to develop a new independent Hotel, or working on an existing new development as part of an established Hotel chain, we will help. Please contact us at the earliest stage of design of your Hotel project. We work with the world's most celebrated Hotel brands to create Hotel layouts that improve performance and maximise financial returns. - Planning the most effective use of Hotel spaces, both front and back of house. - Provision of unique architectural and interior design guidance when reviewing existing or historic buildings for conversion to Hotels. - Practical advice on appointing a design team, based on 'best fit' assessment. We have worked with over 60 international interior design companies. - Full site review and assistance with the block planning of your Hotel from inception through to completion. - Working collaboratively with your team to improve commercial returns through effective functional planning. - Provision of up to date architectural and interior design guidance on all international brands. - Proactive assistance with signing management and franchise agreements. - Full written plan reviews of architectural drawings from a functional and operational perspective. 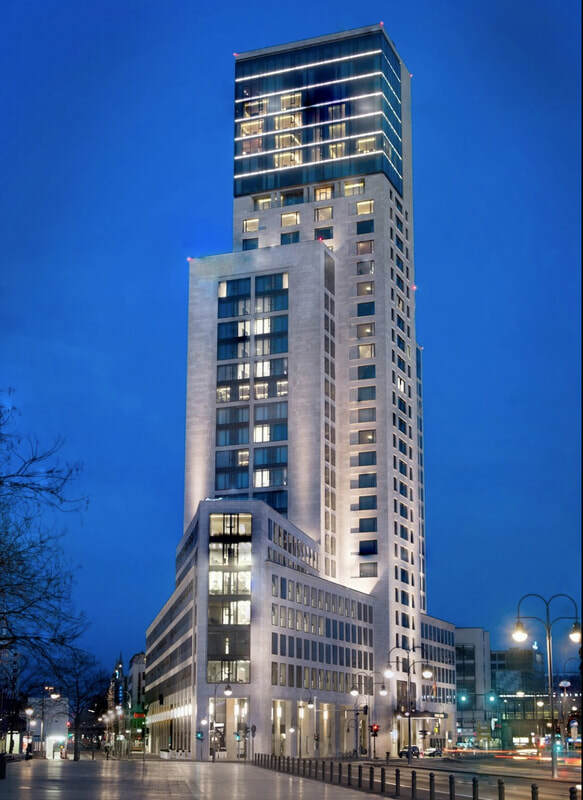 A new build luxury Hotel opposite the famous Berlin Zoo with 225 keys and designed by a leading German architect. Large Guerlain Spa with terrace and pool. Stunning presidential suite at uppermost levels with panoramic views across the city. Restaurants and bars at ground and first floor levels including Les Solstices by Pierre Gagnaire. The Hotel includes a luxury Ballroom for 300 people as well as a ‘marble’ wall inside the entrance vestibule on which are engraved the signatures of some of the Hotels’ famous guests.